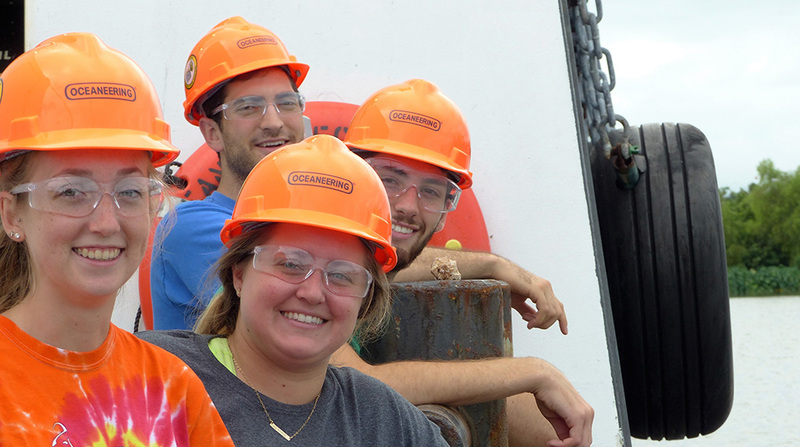 An ECOGIG research team – led by Chief Scientist Dr. Iliana Baums of Pennsylvania State University - will embark on a 12-day expedition in the Gulf on June 12 to investigate the impacts of oil, methane, and chemical dispersants on the deep sea ecosystem— in particular deep sea corals. Deep sea corals are ecologically important and provide vital habitat for marine life, including commercially important species like shrimp, crab and grouper. Institutions participating in this expedition include Pennsylvania State University, Temple University, Lehigh University, University of Georgia and the U.S. Geological Survey. The team will send a remotely operated vehicle (ROV Global Explorer) to depths of over 1000 meters and use high-resolution cameras mounted on the ROV to capture hundreds of still images of corals they have been monitoring yearly since shortly after the spill in 2010. These photographic data will be collected and analyzed—along with images from prior expeditions—to document the spill’s impacts and improve understanding of the mechanisms that influence coral recovery and survival. Monitoring the deepsea corals is only one of several scientific goals of the expedition. A more detailed overview of the scientific goals can be found on the Expeditions page for the cruise. ECOGIG outreach and communication specialists aboard the ship during the “Jewels of the Gulf: Deepwater Expedition” will connect with the public in variety of ways. A live ROV camera feed will be accessible throughout the expedition at ecogig.org. School children and summer campers across the U.S. will interact with scientists onboard during live question and answer sessions, and in collaboration with Mission Blue, an interactive Facebook Live video hosted by Ocean Allison will be broadcast to a worldwide audience from the Gulf of Mexico. See the Expeditions page for more information about the cruise! A full press kit for Jewels of the Gulf: Deepwater Expedition is available at http://bit.ly/2r0gbAs.